Shatter proof material with plastic hinges and fittings. 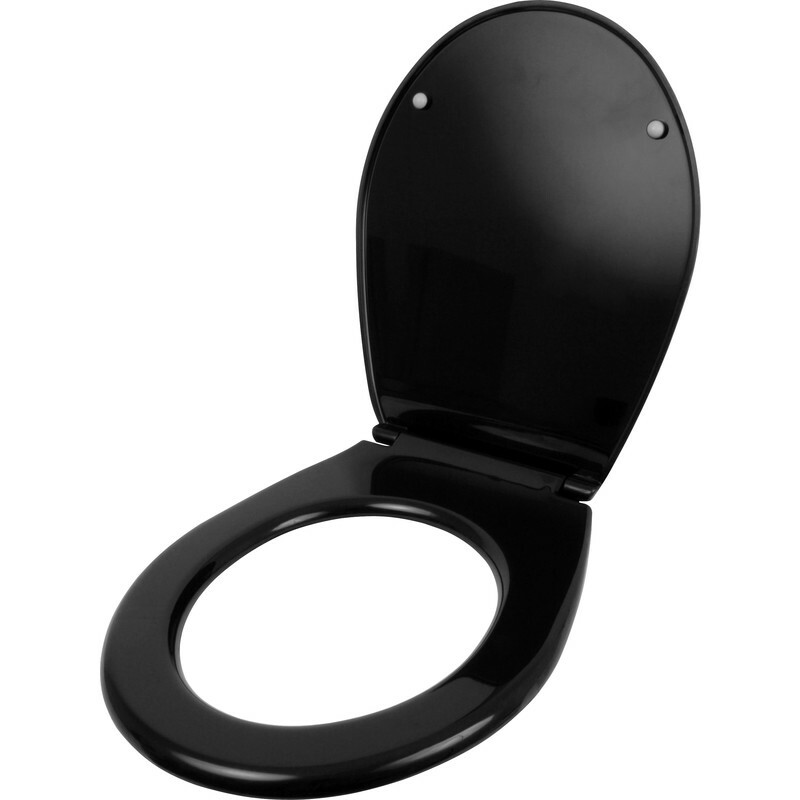 Celmac Wirquin Leon Toilet Seat Black is rated 2.7 out of 5 by 7. Rated 5 out of 5 by Timmsbikes from Budget seat Great. Cheap n cheerfull. Easy to fit. Rated 4 out of 5 by DIY Don from Does what it says when you sit on the can Cheap product that does the job. I bought this for the allotment and it is OK for that but I would not use it in my house. Rated 2 out of 5 by Uvvyvyvyvuv from Mr Absolute rubbish. Returned. Be better sat on the bare pan!